APCC president Botsa Satyanarayana, who is in Delhi for the past couple of days, has been meeting senior Congress leaders to discuss various issues including the contentitious Telangana issue. He met the Finance Minister Pranab Mukherji and also Congress president's secretary Ahmed Patel and had discussions. Later he attended a press meet and told at length about the outcome of the meetings. He said he was told by the party that situation in Andhra pradesh is different from other states and it would be prudent for the party to announce its decision through state's party affairs incharge Gulam Nabi Azad. 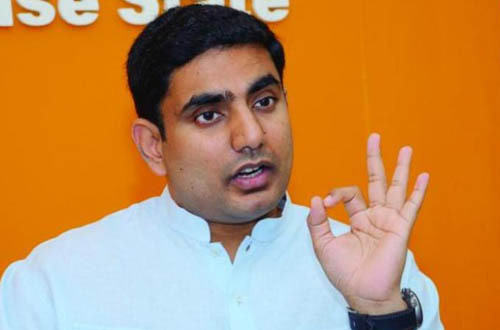 Replying to a question about his personal opinion about Centre's decision on Telangana, he said that PCC presidents don't have any personal opinions in these matters. It is for the party to decide what is in the best interests of the people of the region. As PCC presidents we are bound to abide by the paty's decisions. 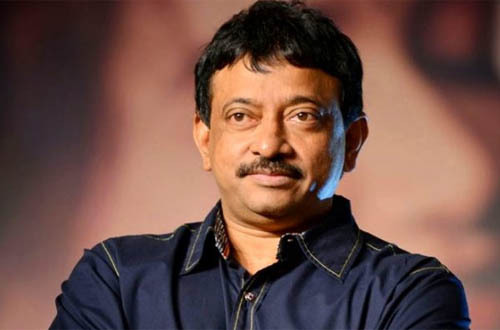 He expressed hope that a decision pertaining to Telangana will be taken very soon, most probably, before the commencement of Parliament's winter session or at the most after that. However, he said it was not possible to fix a date or time frame for it. He said "People of one region are willing for division of the state, one region wants to stay together, while people of another region agree for the division, if at all necessary, on certain conditions. I hope, the centre will take all this into consideration and come out with an amicable solution, which is acceptable to all." AICC general secretary and state's party affairs incharge Gulam Nabi Azad is coming to Hyderabad on Friday to hold consultation on the Telangana issue. This, comes days after Congress Telangana Congress leader and former minister Komatireddy Venkat Reddy has ended his nine-day fast on Azad's assurance that Centre would announce its decision after 10 November. As Congress high command continues to grapple with the Telangana issue, PCC chief Botsa Satyanarayana held consultations with senior leaders including Pranab Mukherjee on Thursday. Earlier, Botsa had also met Congress President Sonia Gandhi's political secretary Ahmed Patel. It is not yet known what transpired in these meetings. Congress spokesperson Manish Tewari, however, refused to answer questions on Telangana saying the AICC general secretary in-charge of the state is seized of the matter and he will respond to them. With the controversies over the separate statehood of Telangana continuing to trouble the party, Congress has reacted with great caution even on the issue of Mayawati's reported plans to divide Uttar Pradesh into four parts saying the party favours a State Reorganization Commission to look into such demands across the country. 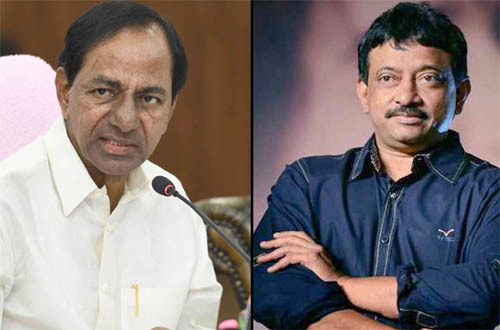 To a specific question on whether the proposed Commission will also cover the issue of statehood to Telangana, party spokesperson Rashid Alvi on Wednesday merely said, "It will cover the entire country" and evaded further questions on the issue. 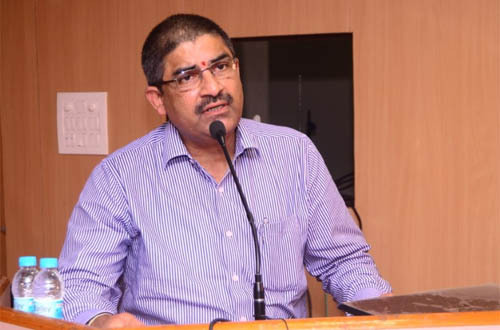 Madiga Reservations Porata Samithi (MRPS) president Manda Krishna Madiga alleged that TRS chief K chandrasekhar Rao doesn't want the separate Telangana state to be formed. 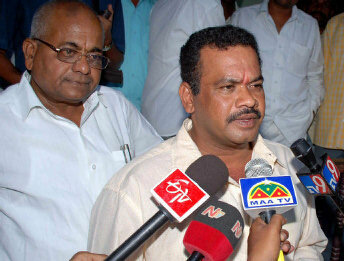 Speaking to the media, the MRPS president said "KCR is only using the Telangana sentiment for amassing wealth. The TRS' opposition to Sri Krishna Commission earlier and now to the second SRC proposal is just superficial, but internally KCR is supporting it. I Don't think the Centre has put forth the second SRC proposal without KCR knowing about it." Manda Krishna expressed doubt that the Congress and TRS might be having some hidden agreement between them. He recalled the incident that occured a day before central government announced Sri Krishna Commission. He told, "KCR himself told in political JAC meeting held at TDP leader Errabelli Dayakar Rao's quarters in New MLA quarters, that he has the information from Centre that the SKC is going to give report in favour of Telangana. He also said at that time that he is not making it public at this juncture, as it may lead to misunderstandings." Are Delhi Bosses Mulling Over Constituting Second SRC? Going by the recent developments and some off-the-cuff remarks by individuals from Congress party, it is surmised that the bosses in New Delhi are seriously mulling over constituting a second States Re-organization Commission (SRC). The Congress party seems to be intent on pushing for a second SRC in the wake of several demands coming up for bifurcation and trifurcation of existing states. Telangana issue, aq fresh demand from UP chief minister Mayawati for trifurcating the state has cropped up. There is every possibility of many other states demanding their re-organization, in case the government concedes to these two demands. In that event, it may not be possible for the government to create smaller states as wished without constituting the second SRC. The hint was clear when Congress spokesman Rashid Alvi today sought the constitution of a special commission to deal with the demands for formation of smaller states across the country through bifurcation and trifurcation of the existing states. 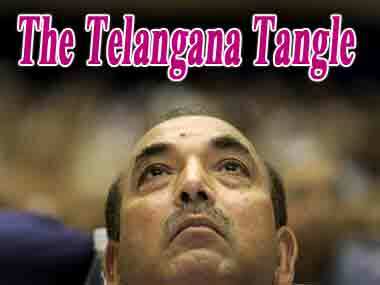 He said the Telangana tangle can also be cleared through the constitution of such a commission. This statement of Rashid Alvi gains significance as it comes at a time when the Centre is expected to make an announcement on the demand for bifurcation of AP to carve out the state of Telangana. Moreover, AICC general secretary Digvijay Singh also said that the second States Reorganization Commission (SRC) be constituted first before deciding on the necessity of dividing UP, the biggest state in the country. Union Minister and in charge of the party affairs in AP Mr Ghulam Nabi Azad is also expected to arrive in Hyderabad on Nov 11 for a final interaction with the state congress leaders before the Centre makes an announcement on the issue of Telangana. Perhaps the central government may take a decision in favour of second SRC after Azad's visit to the state. Former minister and Congress MLA from Nalgonda Komatireddy Venkat Reddy, who was on indefinite fast since past 9 days, ended it a while ago by taking lemon juice from the hands of T-martyr Yadireddy's mother Chandramma. Komatireddy Venkat Reddy has started his indefinite hunger strike on November 1st at Nalgonda demanding an immediate announcement on Telangana. However, keeping his deteriorating health condition, police have shifted him to Hyderabad NIMS Hospital three days ago. On breaking the fast, Venkat Reddy said "I have stopped my Deeksha following the advises of my senior leaders and the assurance came from Gulam Nabi Azad over Telangana issue on yesterday. 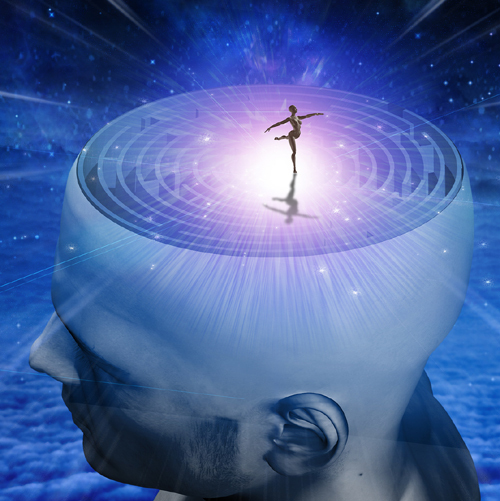 Don't think that, I have concluded my Deeksha. 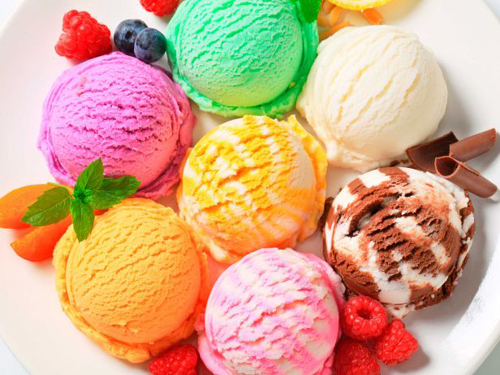 It is just a break only." Congress Rajya Sabha member K Kesava Rao, TJAC convenor M Kodandaram and minister Basavaraju Saraiah were also present when the Congress leader ended his fast. The separate Telangana agitation, named 'Sakala Janula Samme', where normal life has been paralysed for months together and caused over hundresds of suicides might have come to a standstill for the time being, but the question that still remains unanswered is "Who is accountable for the loss and hardships caused to the public?" There are several Public Interest Litigations (PIL) pending in the Supreme Court filed by various people challenging the agitation. The supreme court has decided to examine the batch of PILs before it. 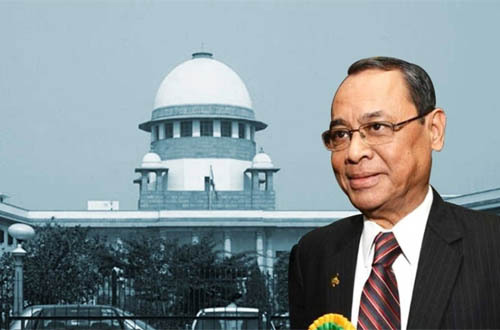 A bench of Justice G S Singhvi and Justice Ranjana Prakash Desai asked petitioner P V Krishnaiah to furnish details of all the three PILs filed by him on the issue so that, if necessary, they could be tagged together for appropriate consideration. Krishnaiah, who is an advocate, has urged the apex court to restrain the Centre from taking any step for carving out a separate state and has sought an appropriate direction to the authorities to ensure that general public was not put to any inconvenience on account of the year-long agitation. 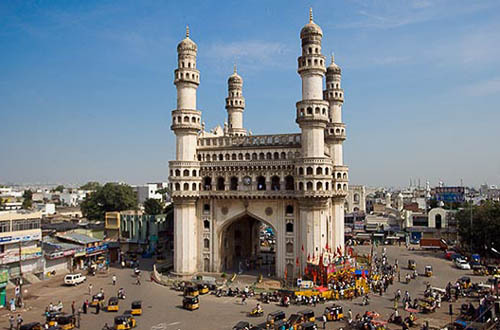 "Because of non-production of sufficient power, not only the Government has imposed power cuts in the entire city (of Hyderabad), but also imposed power cuts in other districts as well as to the farmers," the petition said. According to the petitioner, apart from normal life being paralysed, courts except the state high court were also not functioning properly due to the agitation and that many government employees, including police personnel, had joined the stir. The PILs submitted that the agitation in the form of 'rasta roko', 'rail roko' and disruption of work at the public sector Singareni Collieries Limited besides causing colossal loss of public money and loss of power supply violated Fundamental Rights of the citizens under Articles 14 (Equality) and 21 (Liberty) of the Constitution. Demanding separate statehood for Telangana, former minister and Congress MLA Komatireddy Venkat Reddy continued his indefinite hunger strike for the eighth day Tuesday at Nizam's Institute of Medical Sciences (NIMS), where he shifted on Sunday for deteriorating health. Ignoring the appeals of the party leadership, Venkat Reddy refused to call off the fast, saying he would do so only after the central leadership makes a clear cut statement in favour of carving out a separate state. 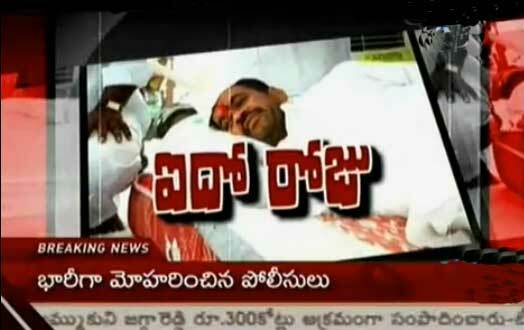 He had launched his hunger strike on Nov 1 in Nalgonda town. Police shifted him to NIMS in Hyderabad after his condition started deteriorating. Several senior party leaders, including union minister S. Jaipal Reddy, state Congress chief Botsa Satyanarayana and D. Srinivas have appealed to him to call off the fast. Jaipal Reddy spoke to Venkat Reddy over phone and urged him to call off the hunger strike. Satyanarayana, Srinivas and others who called on him at the hospital also appealed to him to end his protest but the former minister was unrelenting on his demand. Today tension prevailed for quite some time in Panjagutta arae, where the NIMS is located, as scores of Venkat Reddy's followers tried to break the police cordon and enter the hospital. They even pelted stones on the nearby Panjagutta Police station, when some of them were arrested. Police had to resort to mild lathicharge to disperse the mobs. Later, police asked the mobs to observe restraint and allowed them to see their leader one by one in queue. Is Telangana Regional Council in The Offing? Speculations are rife in political circles that an autonomous regional council for Telangana region is in the offing. The proposal also gained momentum with senior Congress leader D Srinivas tipped to become the first chairman of the council. While sources say the regional council would not be the final but the first step towards finding a lasting solution to the Telangana tangle, pro-Telangana leaders think it is yet another ploy to suppress the Telangana movement. The T-protagonists poit out that it was a tried and tested formula and said that nothing short of a separate Telangana state is acceptable to the four crore people of the region. TRS MLA K Taraka Rama Rao questioned the rationale behind forming a separate Telangana Regional Council (TRC). "What would a toothless council do to assuage the feelings of the people? 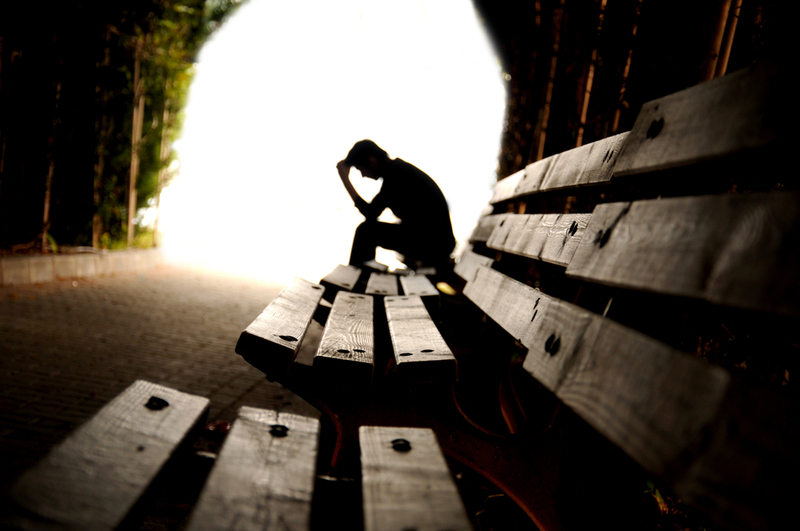 It's bound to be a failure," he said. The T-leaders express doubts as to what might a nominated body do to convince the Centre on the larger aspirations of the people when the views of elected representatives from the region have not been taken into account. Former TRS MP B Vinod Kumar said "The Centre is fooling the people yet again as the creation of a TRC was included in Act 7 of 1956 when Andhra Pradesh was formed on November 1, 1956." In fact, two regional councils - one for AP and the other for the erstwhile greater Punjab - were included with adequate constitutional safeguards way back in the 60s. "So, the question of a new regional council for Telangana doesn't arise," reasoned Vinod. He also ridiculed the sparring over the status of Hyderabad. "Shillong which was the capital of undivided Assam till 1972 was made capital of Meghalaya and Dispur became the new capital of Assam. 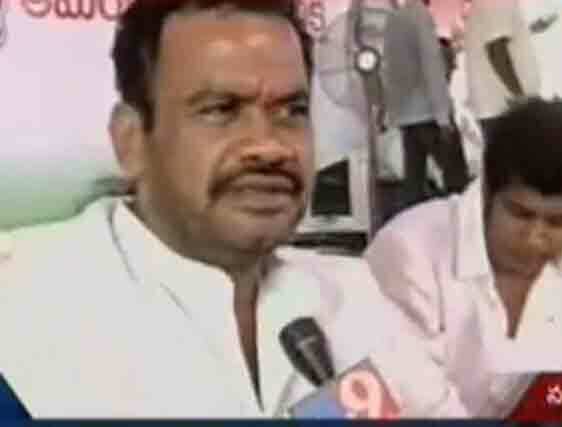 The Seemandhra leaders' concerns over losing Hyderabad is ridiculous," said Vinod. Former minister Komatireddy Venkat Reddy, who has been observing indefinite fast demanding separate Telangana since November 1, has been taken into custody by the police following deterioration in his health condition on Sunday morning. He was arrested from the fasting venue at clock tower in Nalgonda and was shifted to the Government Hospital. Later, on the advice of the doctors who attended on him, Venkat Reddy was shifted to Nizam's Institute of Medical Sciences, Hyderabad. However, Komatireddy has continued his fast at NIMS and refused to take food. The doctors tried in vain to convince him that his health would deteriorate further if he does not break the fast. But the former minister insisted on continuation on fast till the Centre announces a roadmap for the formation of Telangana State. Meanwhile, Health Minister DL Ravindra Reddy paid a visit to NIMS and requested Komatireddy to end the fast. Later, he told reporters that Komatireddy was arrested following the reports that he could go into coma if he continues the fast. He said although Komatireddy has refused to break the fast, the doctors have started giving him necessary medications to save his life. PCC chief Botsa Satyanarayaqna, who met Venkat Reddy at NIMS, said that he has requested the fasting minister to end the fas. Botsa said that, "Though Venkat Reddy didn't give any assurance, but I am hopeful that he will respond positively to the requests." Congress MPs Gutta Sukhender Reddy, Madhu Yaskhi Goud, AICC Secretary P Sudhakar and other leaders also visited NIMS and requested the former minister to break the fast. Sukhender said that the Centre must react immediately and announce its decision on Telangana issue. Madhu Yaskhi also demanded that the Centre must keep its words of resolving the issue after Bakrid. Former minister and Congress MLA Komatireddy Venkat Reddy's indefinite fast at Nalgonda for carving of a separate Telangana state has entered Fifth day today on 05-11-11. Speaking to the media on Friday, Venkat Reddy said that that he would continue his hunger fast until the Centre announces a roadmap for the formation of a separate Telangana state and he was ready to sacrifice his life for the cause of a separate Telangana state. "I want to fulfil the aspirations of the people in the region. Except statehood, the Telangana people are not asking for anything," he stated. Stating that he has been observing the fast as an ordinary Congress worker, Komatireddy said, "It is the responsibility of senior Congress leaders to inform Congress president Sonia Gandhi of my hunger fast." 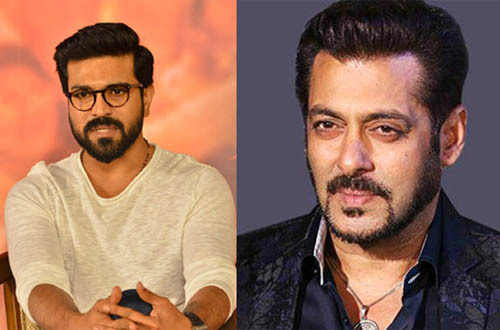 Meanwhile, the doctors treating Komatireddy said that his condition has deteriorated due to a fall in his blood pressure and sugar levels. They said that Komatireddy was suffering from fever, cough and infection. Komatireddy has refusing to take treatment. 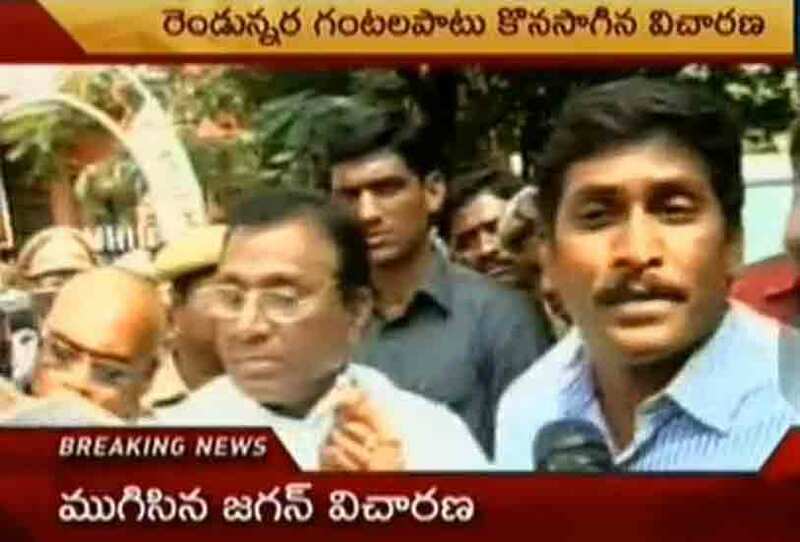 Kadapa MP and YSR Congress president YS Jagana Mohan Reddy on Friday appeared before CBI for questioning in Gali Janardhan Reddy's OMC illegal mining case. He urged the investigating agency to question former Andhra Pradesh Chief Minister N. Chandrababu Naidu in the alleged irregularities in Obulapuram Mining Corporation (OMC) lease. Speaking to the media after a two and a half hour long questioning by officials of the CBI at their Koti office, Mr Jaganmohan Reddy flashed a Government Order issued by the then Chief Minister Mr. Naidu giving 64 acre lease to Rammohan Reddy of Obulapuram Mining Corporation in 2002. 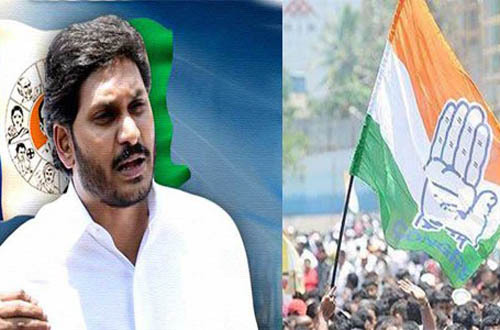 Jagan told the media that he had asked the CBI officials why it should not be construed that it was Mr. Naidu, who had issued the GO. "I asked them why Mr. Naidu should not be questioned in connection with issuance of this GO," he said. 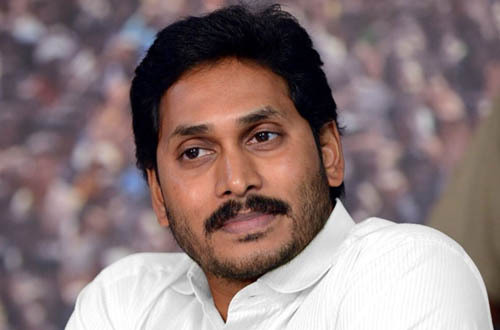 "Please take the GO into consideration and summon Mr. Naidu for questioning," Mr Jagan said. Mr. Jaganmohan Reddy said it was 18 months since the CBI had undertaken probe into alleged irregularities in the OMC mining. During course of their investigation, they had summoned Home Minister P.Sabitha Indra Reddy as a witness and taken her opinion. "In the same manner, I was called as a witness to give my opinion and not as an accused in the case," he observed. "And this amply proves that I have nothing to do with OMC illegal mining case," he added. He directed his ire at two Telugu dailies and a Telugu news channel for targeting him repeatedly. "Do these media houses have any journalistic values," he questioned. Mr. Jaganmohan Reddy was accompanied by Nellore MP Mekapati Rajamohan Reddy, MLAs - T.Balaraju and B. Babu Rao. The entire CBI complex was teeming with police personnel with an elaborate security cordon thrown around it. Famous freedom fighter from Andhra Pradesh, 97 year old Konda Laxman Bapuji has taken up a week-days fast at Jantar Mantar in Delhi demanding Centre to initiate process for the formation of a separate Telangana state. Bapuji's fast entered its third day on Thursday. Fasting Konda Laxman Bapuji didn't agree to break his fast today when senior Congress leader Oscar Fernandez has appealed to him fervently saying that the Congress party is bound to take an early and positive decision about separate Telangana. Bapuji said that he will not break his fast until the government comes out with a clear statement. BJP's senior leader Nirmala Sitharaman also met Bapuji and assured support on behalf of her party. Bapuji said that he is hopeful that the government will announce formation of separate Telangana before his fast ends (He has been given permission to fast for one week only). Former mnister and Congress MLA Komatireddy Venkat Reddy's indefinite fast at Nalgonda for carving of a separate Telangana state has entered third day today on 03-11-11. 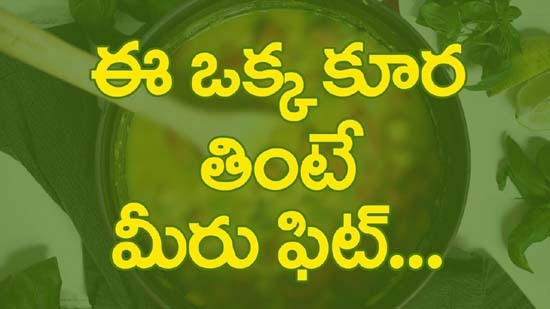 Venkat Reddy lost about 4 kgs of weight and his BP, Sugar levels also have fallen down. Family members and followers are worried about the health condition of the fasting Congress leader. Speaking to the media, Venkat Reddy said that he has taken up the indefinite fast to put pressure on the Congress high command to take an early and positive decision about the contentious Telangana issue. There is no question of breaking the fast , till the center comes out with a positive response towards Telangana. He said that more than his health condition, what is worrying him is the fast eroding popularity of Congress party in the region. People are still hopeful that Mrs. Sonia Gandhi, who has given assurance of a separate Telangana on December 9, 2009, will definitely stick to her word. "I too am hopeful that she wouldn't disappoint the people of Telangana," he added. Former minister Komatireddy Venkat Reddy on Tuesday started an indefinite hunger strike to pressurise the central government to initiate the process to carve out a separate Telangana state immediately. Komatireddy Venkat Reddy, who resigned as minister last month protesting the delay in formation of Telangana, began his indefinite fast in Nalgonda town in the presence of some party MPs from the region. "I am ready to sacrifice my life for the cause of Telangana. There is no question of calling off the fast," he told a huge gathering. Venkat Reddy alleged that ministers from Telangana were the main hurdle in the formation of a separate state. Congress MPs, who were present at the venue, criticized their own party for not taking a clear stand in favour of Telangana. Rajya Sabha member K. Keshava Rao said it was a shame that Congress MPs participating in Telangana movement were being implicated in false cases and sent to jail. MPs K. Rajagopal Reddy, G. Vivek and Ponnam Prabhakar were also present. 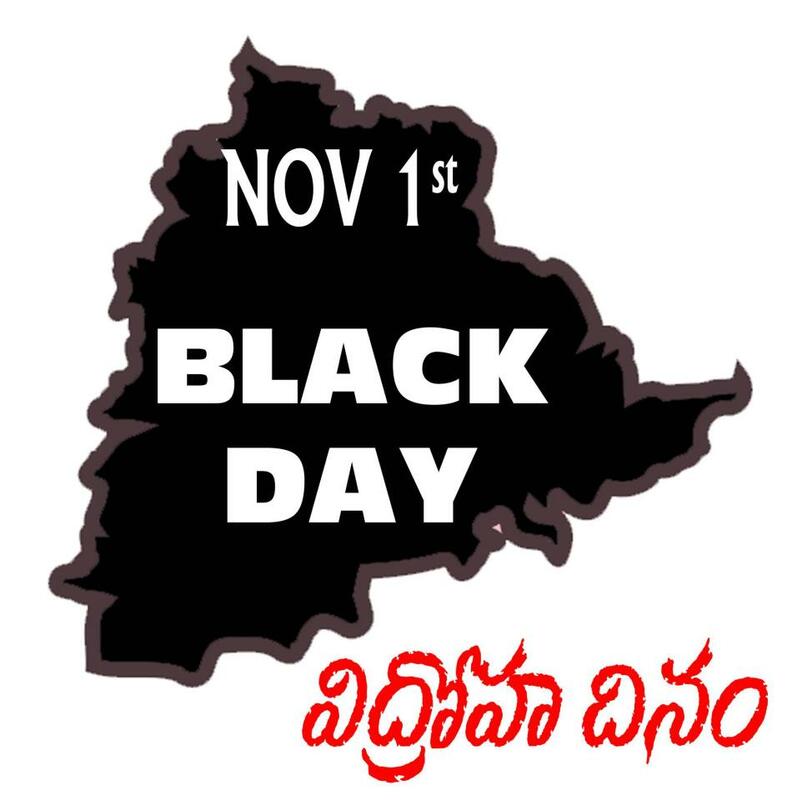 Andhra Pradesh Formation Day on November 1, today, has ironically become a symbolic occasion to term it as 'Betrayal Day' by the pro-Telangana groups. It was on this day that the Telangana districts were merged with the coastal and rayala-seema districts 55 years ago to make Andhra Pradesh the first state to be formed on linguistic basis in 1956. Today is Andhra Pradesh's formation day but in the state there is little reason to cheer for. 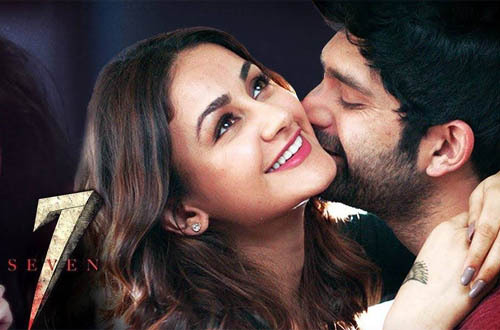 The Chief minister N Kiran Kumar Reddy is scheduled to hoist the flag and be the chief guest at the main event at NTR Staidum on Tuesday morning. With the state government calling upon collectors to officiate at the events, the Telangana ministers and MLAs are set to stay away from the formation Day festivites. Even as security was tightened at the venues in Hyderabad and the other Telangana districts where the official flaghoisting ceremonies are slated to take place on Tuesday on the occasion of AP Formation Day, Telangana political JAC chairman M Kodandaram on Monday asked the people to hoist black flags in every street across the region on November 1 as well as prevent the ministers and MLAs from taking part in the official functions slated for the day. 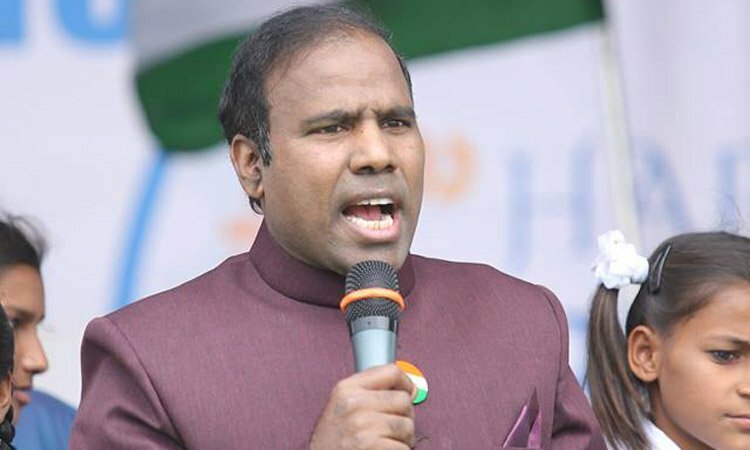 More unrest is likely in the T region with the TRS on Monday calling the people to boycott the Rachabanda which is slated to begin on November 2. The Telangana ministers had said that they would take part in the programme and in response, the TRS called upon the people of the region to gherao the Congress ministers and MLAs and prevent them from taking part. With 3 of its MLAs (One of them is a former minister) switching over to TRS party, the Congress leadership started damage control operations by gifting highend SUVs to young Telangana Congress MLAs to see that they too do not jump the fence. 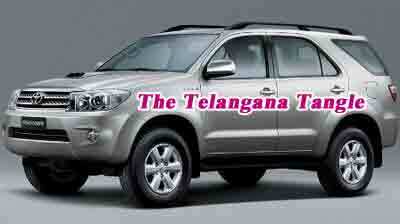 Sources told that 15 Telangana Congress MLAs were the benefactors as each one of them was gifted a Toyota Fortuner sports utility vehicle, costing a whopping Rs 25 lakh each. The desperation in the Congress camp was evident as the young legislators were presented the premium SUVs a few days back. 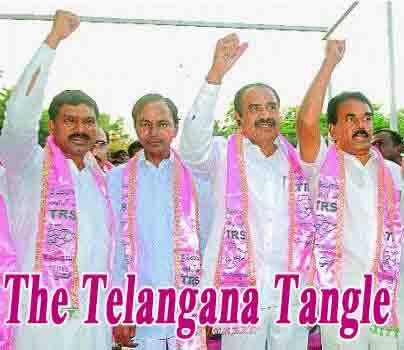 Some of the MLAs had threatened to quit in support of the separate Telangana demand. 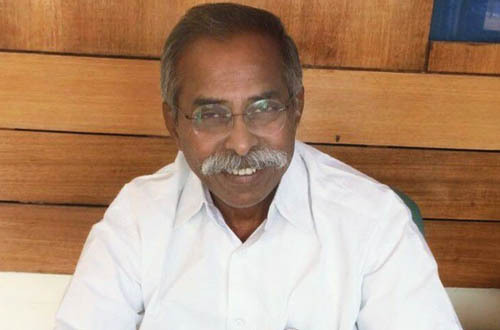 It is already known that on Sunday, former minister Jupalli Krishna Rao, MLAs T Rajaiah and Somarapu Satyanarayana resigned from the primary membership of Congress and joined KCR's Telangana Rashtra Samithi. Among those who became richer with 'Fortuner SUVs' were Alair, Devarakonda, Shadnagar, Husnabad, Manakondur, Mahabubabad, Wardhannapet, Bhoopalapally, Pinapaka, Medchal, Nakrekal and Alampoor MLAs. Sources said Alampoor and Nakrekal legislators refused to take possession of the vehicles as they were worried about the backlash from their followers and Telangana activists if they were to accept the gift. After receiving the Fortuners, some of the MLAs had a closed-door meeting in a hotel in Hyderabad and expressed their wish to tone down the Telangana demandfor the time being. "Days have gone when people used to speculate that Telangana Rashtra Samithi would ultimately merge with the Congress party. Now the time has taken turn for the Congress to merge with the TRS," says TRS chief K Chandrasekhar Rao. KCR, speaking at function held to welcome three Congress MLAs - Jupalli Krishna Rao, T Rajaiah and Somarapu Satyanarayana and hundreds of their supporters into the TRS fold, cautioned Prime Minister Manmohan Singh and UPA chairperson against testing the patience of Telangana people. He said Congress and all other political parties would soon lose their political livelihood in the region if they failed to respect public sentiment. "The Prime Minister and Sonia Gandhi must remember that more MLAs are willing to join us, not only from Congress but other parties also. 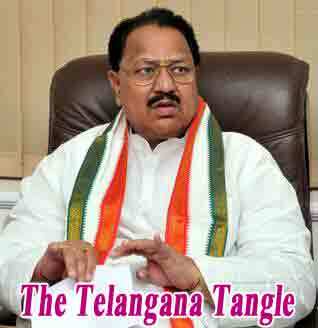 The day is not far away when the Congress will have to merge with TRS," warned the leader. A jubilant KCR said "We will dictate terms to Delhi by winning all seats in the region. We forced the Centre to concede Telangana on Dec 9, 2009. In the future, they will have no choice but to abide by their earlier announcement on initiating the process of formation of Telangana state. We once again demand the PM and UPA chairperson to honour their word." After BJP's senior leader L K Advani declared his party's support to the separate statehood a week ago, the Congress core group met for the first time to discuss the contentious T-issue and electoral reforms. 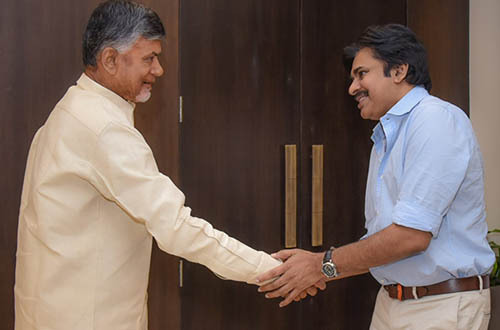 Sources said the meeting that lasted for one-and-a-half hours deliberated at length over the Telangana imbroglio, over which almost all parties in Andhra Pradesh are sharply divided on regional lines. 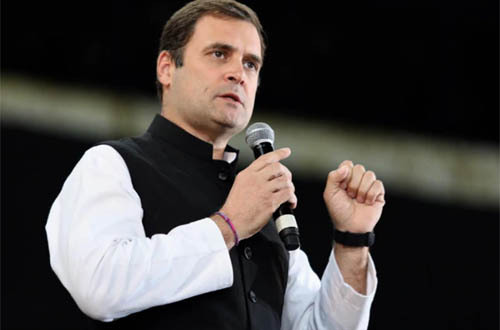 AICC general secretary in-charge of Andhra Pradesh Ghulam Nabi Azad was specially called to the core group meeting which was also attended by other core group members Pranab Mukhkerjee, A K Antony, P Chidambaram and Gandhi's political secretary Ahmed Patel. Though there is no official word on what was discussed and decided on the Telangana issue, sources pointed out that the Congress Central leadership wanted to buy time for consultations among the UPA partners and thereafter with recognised political parties both at the national and state level to arrive at a "consensus" on the issue. Sources also said that the whole exercise may stretch for another two months, probably upto January 2012. Around fifteen Congress MLAs from the Telangana region, said to be aspiring for ministerial berths in the upcoming cabinet reshuffle, met at a hotel in Hyderabad on Friday. 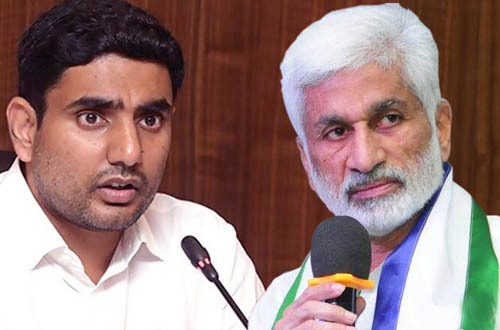 Critical of their seniors and the steering committee of the Telangana Congress, they have decided not to antagonize the party leadership in New Delhi and chief minister N Kiran Kumar Reddy. They decided to go slow on the Telangana movement in the hope that they would find a place in the cabinet in the reshuffle that is expected soon. The MLAs said they would participate in the Rachchabanda programme with the idea of pleasing the chief minister. 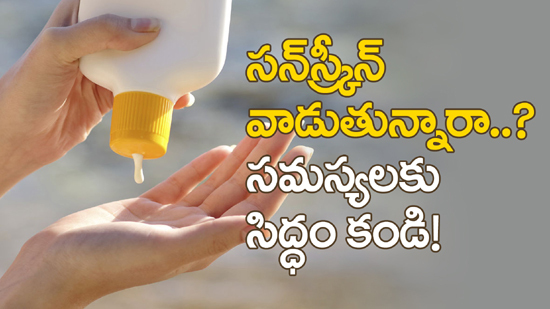 However, they decided to boycott the AP Formation Day celebrations on November 1. It is for the first time that the Telangana Congress MLAs met after the total withdrawal of the Sakala Janula Samme by the state government employees. At maximum, the MLAs said they would go to New Delhi and sit on a fast for a day or two if no positive decision on Telangana is forthcoming before the winter session. The MLAs urged the state government to come to the aide of the farmers who lost their standing crop due to disruption in the power supply during the strike. "The state government should offer them help in the form of input subsidy," Bhupalpalli MLA Gandra Venkataramana Reddy told the media. The MLAs also urged the government to withdraw all the cases booked against the employees during the 42-day long Sakala Januala Samme. The MLAs present in the meeting were K Laxma Reddy, G Prasad Kumar, B Raji Reddy, Pratap Reddy, VM Abraham, T Narsa Reddy, A Pravin Reddy, A Mohan, Somarapu Satyanarayana, Gandra Venkataramana Reddy, M Kavitha, T Rajaiah, K Sridhar, Balu Naik, Bikshapati Goud, T Lingaiah, and Rega Kantha Rao.